Available in three sizes, these journals hold multiple sheets of 90 lb (190 gsm), acid-free, 500 series mixed media paper. Excellent for watercolors, gouache, acrylics, graphite, pen-and-ink, colored pencils, markers, pastels, and collage. 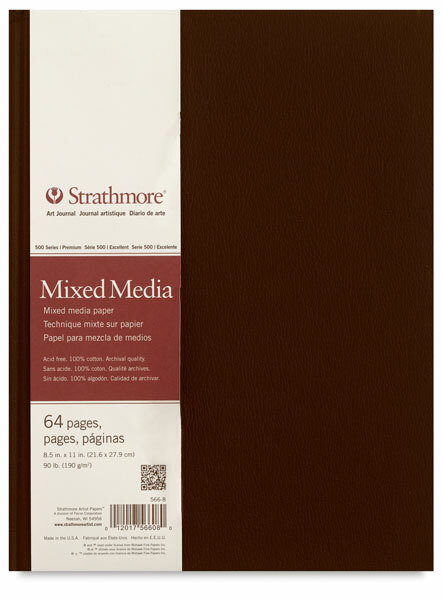 This professional quality paper is internally sized for wet media with a durable vellum finish for drawing techniques. 100% cotton fiber is lignin free and archival.